we have become the most dependable roofing company in the region. excellent care of our customers. Our roofing services can be separated into following categories: Residential Re-Roofs, New Construction, Repair Work, Commercial Roofs. The types of roofing systems that Gulf Coast Roofing installs can be divided into the following categories: Tile, Metal, Shingle, Flat. 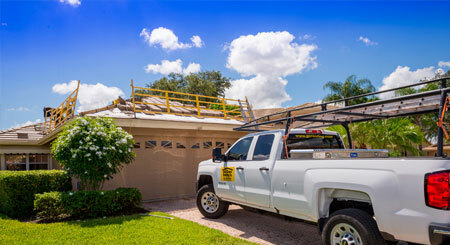 Gulf Coast Roofing provides roofing services to commercial and residential clients. With over 40 years of experience, we have become the most dependable roofing company in the region. At Gulf Coast Roofing, we understand that customer satisfaction is key to the success of any firm. That’s why we work hard to ensure that our customers receive a quality of work that brings satisfaction and continues to build our reputation. The growth of Gulf Coast Roofing is due to referrals of satisfied customers and the reputation of our superior quality of work. Providing excellent customer service from initial contact with our knowledgeable office staff to the completion walk through with our Project Supervisor is our trademark for success! 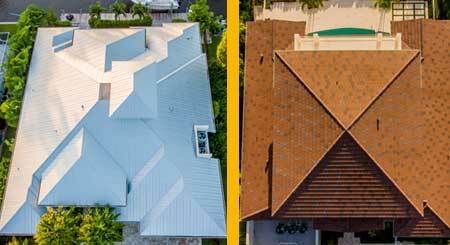 Gulf Coast Roofing is committed to providing excellent products and services to our clients and we take pride in the quality of our workmanship.